The Town of Breckenridge can boast that it is the only municipality in the world to own a Jack Nicklaus designed, 27-hole golf course. The course opened for play in 1985. During the summer 2001 golf season, the Town opened another nine holes also designed by Nicklaus and every bit as challenging as the original 18-holes. The new Elk nine as it is named, offers more elevation change than the Bear and Beaver nines. Since the opening of the course, national and regional honors have been bestowed on Breckenridge. 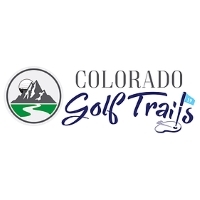 Honors awarded by the Colorado Golfer (the State Golf Newspaper) have included; Best Mountain Course, and Toughest Mountain Course. Golf Digest "Places to Play" rates Breckenridge as a 4 1/2 Star Facility, and as one of their top "Upscale Places To Play" in the nation. In May 2010, Golfweek rated Breckenridge as one of the "Top 50 Municipal Courses" in the nation. The course is also Zagat rated. The golf course is situated in a beautiful mountain valley. The clubhouse sits at an elevation of 9,324 feet. At this elevation the golf ball flies farther and straighter than at lower elevations, as there is less air resistance. The air not only allows you to hit the ball farther, but also offers temperatures that make you forget about the heat of the summer. Typical daytime summer temperatures range from 65 degrees to 80 degrees. Quite rarely will the temperature exceed 80. The course has four sets of tees so that each golfer may select the challenge equal to their game. From the Nicklaus Tees on the Beaver/Bear rotation, the course plays 7,261 yards and has a course rating of 73.9 with a slope rating of 147. . A challenge for even the best golfer. Each set of tees plays to a par 72. Please call 970-453-9104 for current rates. Call 970-453-9104 for rates and tee times. Contact Breckenridge Golf Club at 970-453-9104 for more information and details on holding a golf outing at the course. Contact Breckenridge Golf Club at 970-453-9104. Contact Breckenridge Golf Club at 970-453-9104 for onsite or nearby dining options. This profile was last updated on 04/24/2013 and has been viewed 6,465 times.